Monday - Thursday: 11:00am - 10:00pm; Friday: 11:00am - 11:00pm; Saturday: 4:00pm - 11:00pm. Complimentary Valet Parking and Private Parking Lot Available. Live Jazz Singer and Piano Player. Mercury Board Room - Private Dining Room available for special events, corporate meetings, celebrations, etc. For additional information, please feel free visit MercuryChophouse.com, contact the Mercury Chophouse Arlington at (817) 381-1157 or email, events@mercurychophouse.com. Catering Packages available. For additional information, please feel free visit MercuryChophouse.com, contact the Mercury Chophouse Arlington at (817) 381-1157 or email, events@mercurychophouse.com. Mercury Chophouse offers a fine dining experience and is the first prime steakhouse in Arlington. Our exclusive interior houses some of the finest cuisine DFW has to offer. 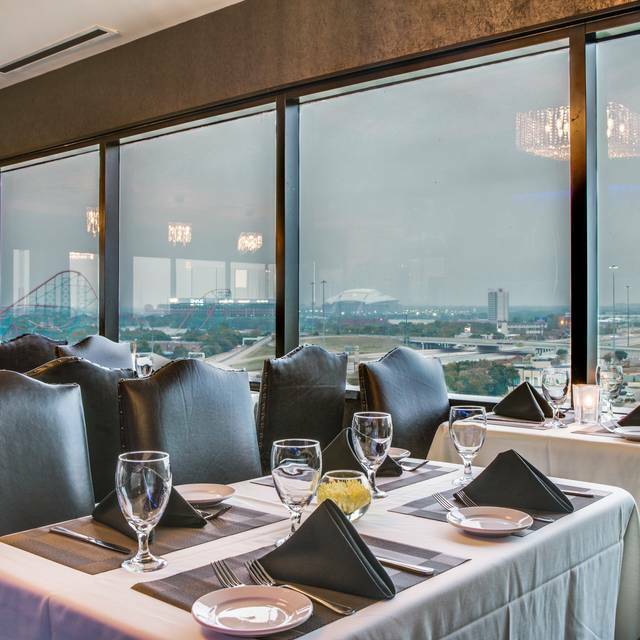 Enjoy our world-class food, live music, and impeccable service blended with a breathtaking, panoramic view of Arlington’s Entertainment District. Service was really good. Drinks were super expensive and the food was meh at best. Someone went crazy with salt on everything. Wait staff and general manager were outstanding. Will certainly return as soon as possible. I will recommend Mercury Chop House to all my friends. We had a very good experience . Our waiter was great . I asked for window seat in reservations . Our Anniversary .First time there . There was plenty of window seating the whole time we where there . Also never heard again about our Anniversary . They knew when we where seated . Also the the food was almost cold , Small place ,only half full . So dont know why food could not be hot,also for the price ?? But a great place ,just needs to kick it up . Wonderfully attentive service. Food was excellent. Will be back. First time! Was pleasantly surprised. Great wait staff. Good value. Great food. Would highly recommend. 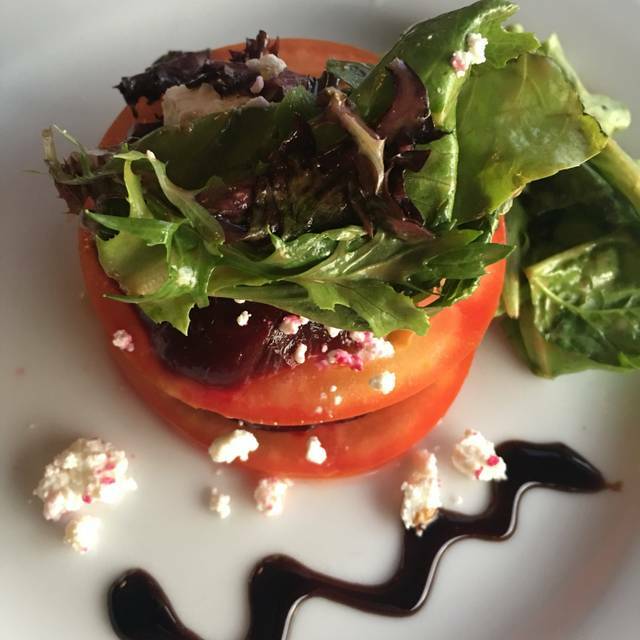 From appetizers to salads to entrees to desserts, everything was excellent quality. The service was superb—Jorge was very attentive and professional. There was a female singer\piano player who made the evening very relaxing and pleasurable. 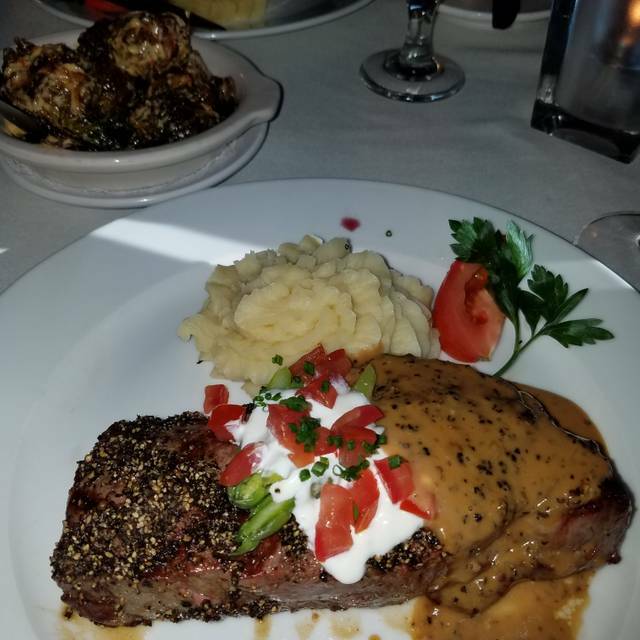 This was not our first visit to Mercury Chophouse and will certainly not be our last. Every aspect of this dinner experience was perfect! The ambiance, the view from the table, the service were all excellent. The food was exceptional. I had rack of lamb and the last two ribs were still warm and nearly as warm as the first two. My wife's filet was cooked perfectly. I would describe my food as heaven on a plate. Our server, Andrew, was model perfect. His timing is spot-on to fulfill requests. Never pushed us in any part of the dinner. The value paid was consistent with the quality of the food. We will come back! This is a place for special occasions that you will remember a long time. Very very well done! Really good food quality, service mmmm ?? Not what we expected. But other than that nice restaurant to try. From the hostess to the waitress we had a terrible experience. The waitress should be working at Waffle House not a fine dining establishment. We showed up starving and left before ordering food it was so bad. Zero signs of management paying any attention to the business will not return. Based on the crowd there on a Friday night at 7p (not one other customer there!) it looks like this place won’t be in business much longer. Mercury Chophouse is in the space formerly occupied by Le Cacharel. It is an outstanding place to meet being halfway between Fort Worth and Dallas. 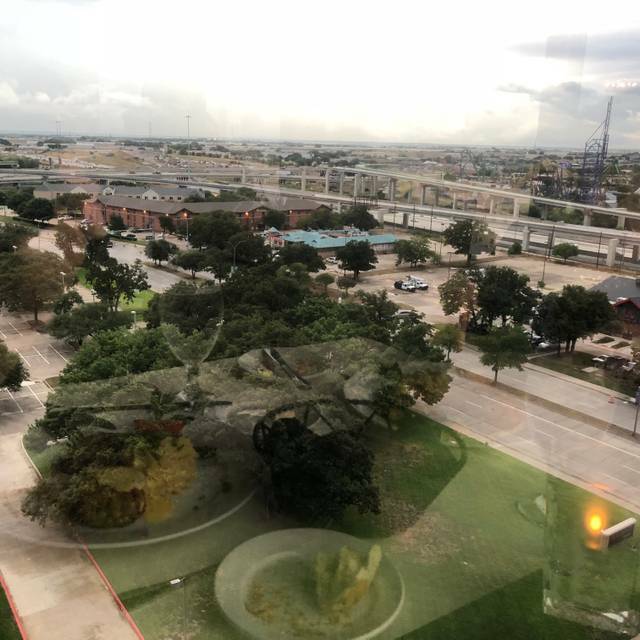 The view is outstanding, the service is first rate and the food is quite good. The salads were very good. The steaks were below average for a prime chop house. They were not real hot and the seasoning was not good. Go to Ruth Chris. 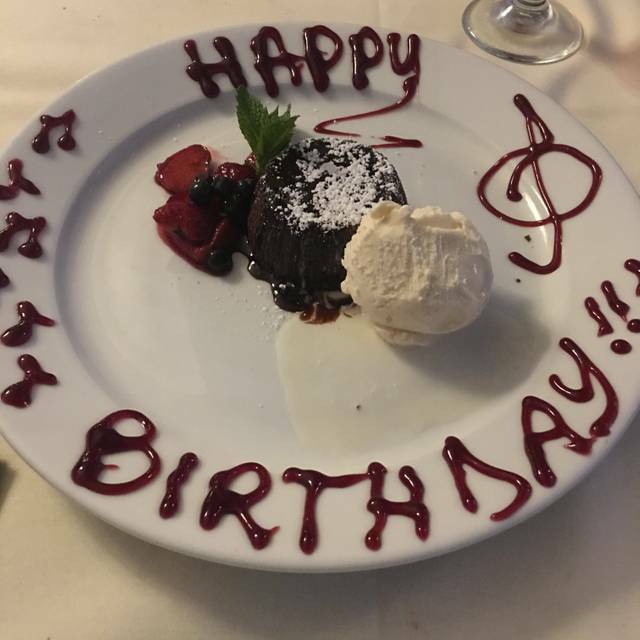 We had a great experience during our dinner celebrating my birthday. The only thing I would change is when you say "the special today" does not necessarily mean the special is the price, it's what the chef is cooking. Maybe say "the chefs special meal is...".. It was delicious but we were surprised with the price. The piano, although well played, is always too loud. We were with my 92 year old father and we could not have a conversation because all talk was drowned out by the piano. The food and service are always good. We have dined here several times and the piano is always too loud. Two meals were good—both non-steaks. Two steaks were terribly salty and served with an undisclosed demi glace sauce that was overpowering. When I mentioned it the server seemed unconcerned. Good prime steaks spoiled by a chef! The lobster and cheese ravioli is the best. The food was great. The staff was friendly and very accommodating. I never eat dessert...until now. I have to order dessert every time I go now. Excellent choice for our evening. Our server Jorge was fantastic. Made the experience even better. Great place for couples or a few friends. Will definitely return soon. It was excellent! Waitor Clint was all that and more. Great service! Clint was engaged and delightful. He is an asset to their restaurant. Lovely atmosphere. Lively conversation with neighboring tables. The food is good. No complaints. This was a Valentine’s Day dinner. All couples were seated at the back of the restaurant too close to each other. Could not talk without everyone hearing your conversation. We were seated on the isle and near the wait staff table. The food was excellent and the waiter was great. Will not go on a holiday again. Service was good. Food was very good. This may seem an odd comment, but the booth-style seat by our table had a seam that was uncomfortable given where the table was situated. Overall, very good experience. We'll certainly return. 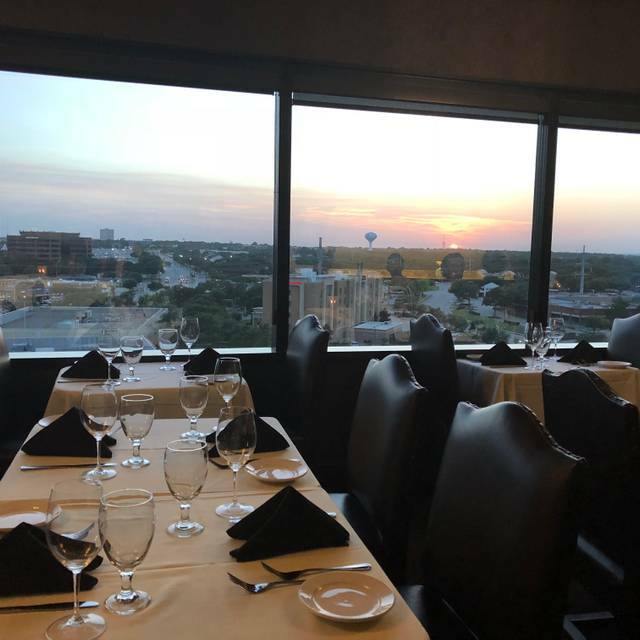 Great view and excellent service. The filet mignon and crab cake were excellent. Mashed potatoes were a little bland. Overall, a very enjoyable visit. Very good food, presented well. The service was excellent, attentive but not overbearing. The atmosphere was nice with great views. The piano music and singing was great also. Best service and atmosphere is amazing. Had a nice quiet dinner. A bit on the high side of price but well worth every penny. 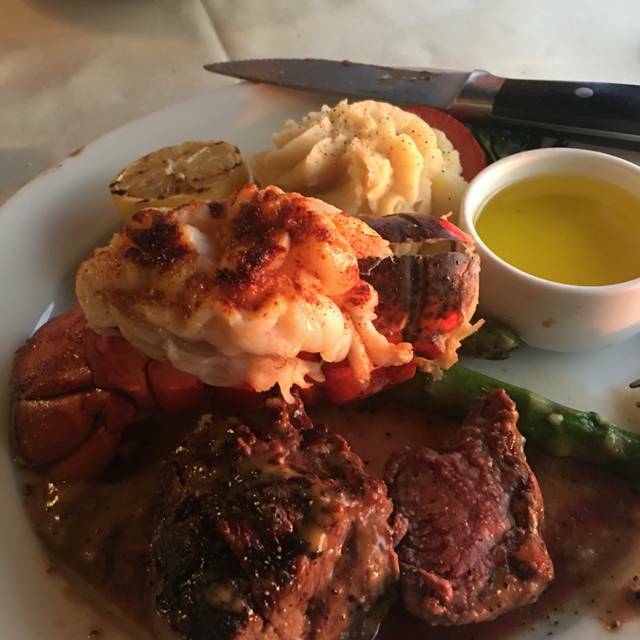 Lobster and steak were excellent. We've eaten at Mercury Chop House location in downtown Ft Worth many, many times; we know Zac personally . 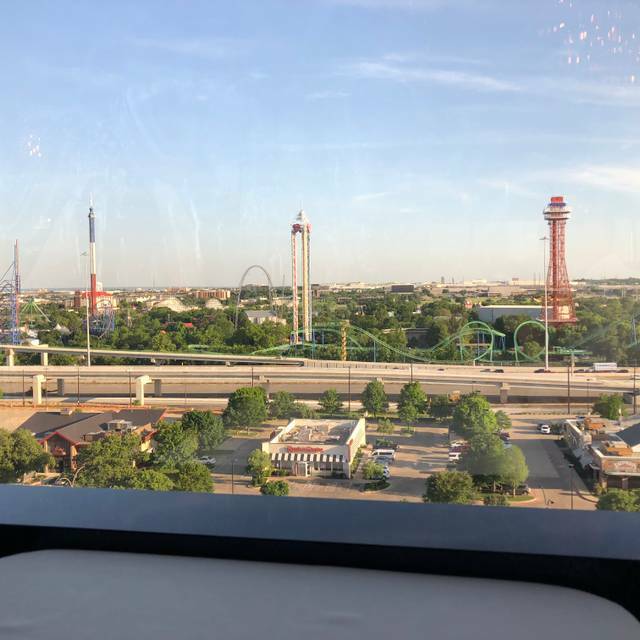 . . this was our first visit to the Arlington location and we loved everything about the experience, with the exception of the incredibly poor service. We waited 30 minutes to speak to our server after getting a $175 bottle of wine. We then ordered salads/appetizers, along with the main courses. Two of the appetizers finally arrived, again after a long wait; never received the other two. The Manager was engaged and he promptly provided all appetizers at no charge. This is not up to Chop House standards . . . Excellent Service and Food. Never disappointed at this fine restaurant. The food quality and variety were excellent. I happened to chose the Chicken Cordon Bleu. It was magnificent. 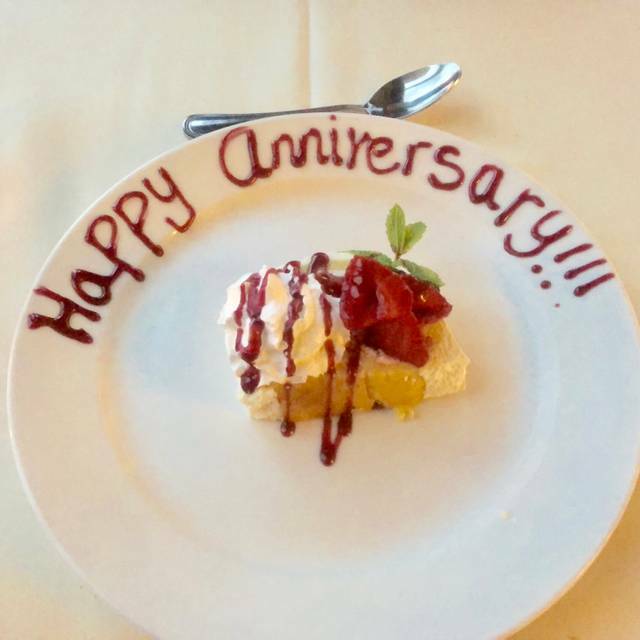 My wife and I really enjoyed our time at the Mercury Chophouse. No complaints. Just good time and great food. The food was very good. I haven't been to this restaurant in years. I was very impressed. I will be going back -- that's for sure. I took my daughter for her birthday and it was the best present ever! We enjoyed ourselves and it was worth driving almost five hours. Not sure if this was our waitress' first night but at each ordering - drinks, wine, appetizers, entrée and dessert I had to repeat my requests numerous times. My wife's risotto was like gum paste and the waitress delivered the final bill at the same time as the dessert! Felt rushed the entire meal. I took my g/f here for our 3 year anniversary & they made it spectacular, definitely will be back to try the other recommended dishes there & our waiter did a great job throughout our time time!!! Great service, Mercury Chop House in Arlington, Tx. Our waiter Jorge was wonderful, attentive and very helpful. The food was terrific.